“We fully support the Be Clear on Cancer campaign and are pleased to encourage our members to be vigilant to changes in their body and to check their urine. 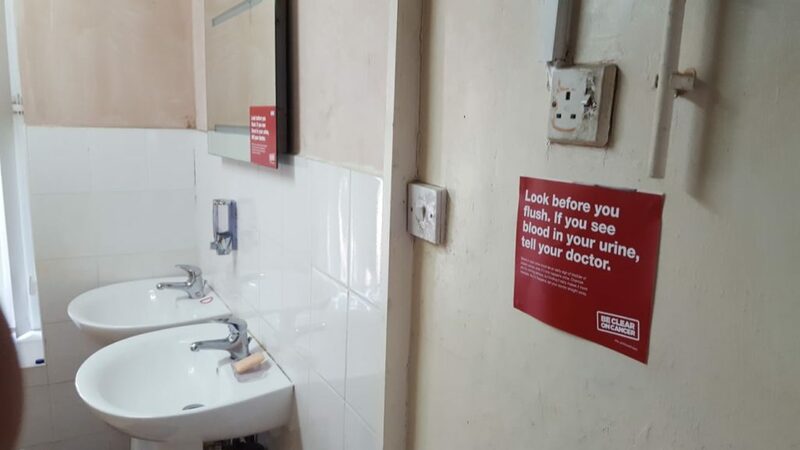 Displaying posters in our toilets is an innovative way to ensure we get the message across to members of our community. Afreximbank disburses $200 Million to Egyptian General Petroleum CorporationThe Annual Ghana Music Awards UK Is Back.